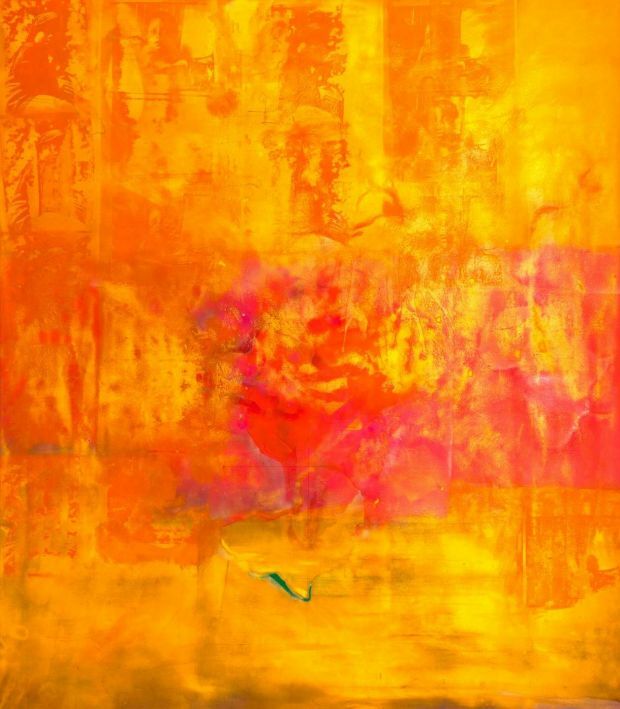 It’s impossible to ignore the sheer scale of many of Frank Bowling’s paintings. Australia to Africa, for example, from 1971, is in excess of 7m wide. When you are face to face with it, it’s a Cinerama screen of a painting, a huge, warm, radiant, luxuriant, colour-saturated expanse, oceanic in feeling as well as in title. Yet Bowling never tries to overwhelm the viewer with scale, as some artists have done and continue to do. There’s an easy, enveloping generosity to his vision. He creates vast chromatic spaces not to impress us, but for us. Mappa Mundi, first seen at the Haus der Kunst in Munich, is a welcome retrospective survey of his work from the late-1960s. At its heart are several of the artist’s “map paintings”. He began to produce these in New York around 1967 and they featured in a landmark exhibition at the Whitney in 1971. The show’s other main strands are made up of series of works named after his father, Richard Sheridan, and his wife, textile artist Rachel Scott Bowling, and relating to his working and living environments, usually watery in nature: Great Thames, Bartica Flats, and Wintergreens.